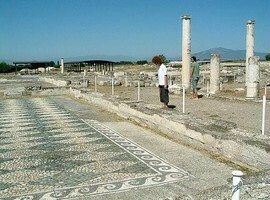 To the west, southwest ends of the plain of Thessaloniki, at the northern edge of Pieria, east of Aliakmon river lie Vergina and Palatitsia, two neighboring villages that define the area of the town of Aiges, the Macedonians’ capital until the early fourth century BC and the area of the royal necropolis. 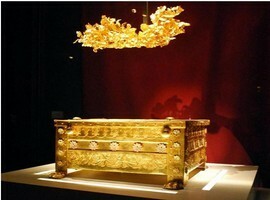 The excavations started in 1861 by French archaeologist L. Heuzey and were continued from 1938 to today. 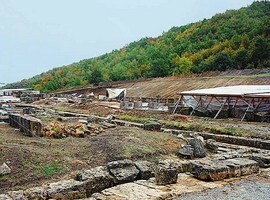 The monumental palace, parts of the ancient city and its fortification, the theater and numerous Macedonian tombs were brought to light by the excavations. 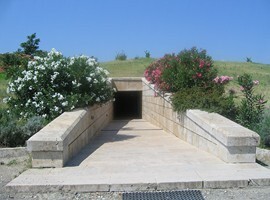 In parallel, north of the ancient city parts of the prehistoric cemetery and burials were excavated which date to the Early and Classical times. 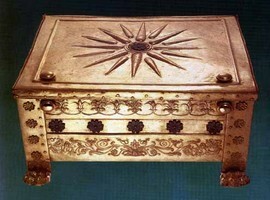 This is the place that Philip II lived and died. 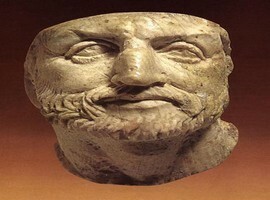 Philip II was a Macedonian king who conquered all the Greek cities, paving the way for his son Alexander the Great and the expansion of the Hellenistic world. 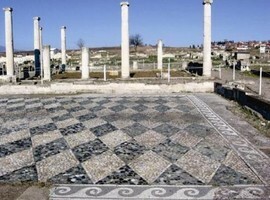 The imposing palace that has been spotted in Macedoniko area was home to kings of Macedon when they returned back to the old capital for the official ceremonies. It is built like an ordinary ancient Greek house but repeated on a large scale, with indoor colonnaded courtyard and rooms around it. 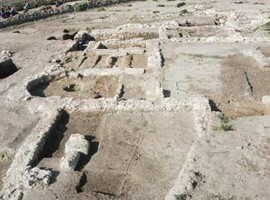 On the east wing there were, besides the entrance, the Dome (probably a place of of worship) and sites of unknown use. The south wing was by itself the “House” of the palace which, among other rooms, featured a dining hall which was decorated with mosaics. Dining halls existed in the west wing as well. At the north part, shaped on the slope of the hill, there was a narrow terrace. 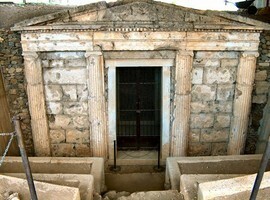 The building dates to the second half of the fourth century BC. 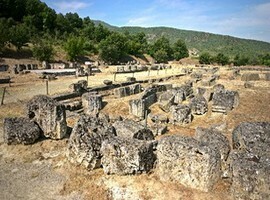 Right next to the palace of Aiges, adjoining the west side, the foundations of a large edifice was discovered. 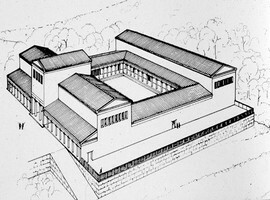 The building consists of a large central courtyard with cloisters and rooms opened at the north and west. 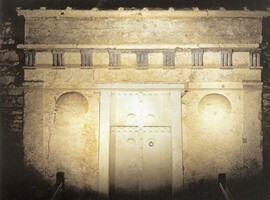 The number interventions made on the building and the few remains that made it to our days do not allow precise dating. Scientists now believe that it is the old palace of the City which was maintained by the kings in order to show respect to their past. 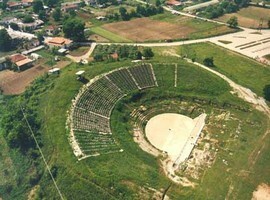 The palace theater, located just 60 meters north of the palace was built in the second half of the fourth century BC. 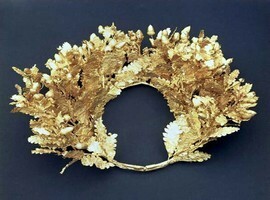 In 336 BC it became the place where Philip II, was assassinated during the wedding of his daughter Cleopatra to King Alexander of Epirus.